This cargo tray fit perfectly. No trimming to fit nonsense. It looks good on both sides with Tucson lettering, making it look stock. 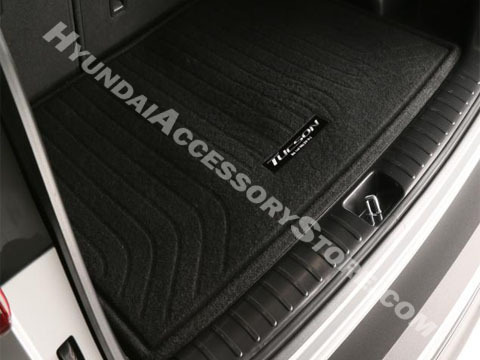 My new Tucson came with floor mats, and I think this should have been standard equipment on my Limited, Ultimate package as well. It wasn't, so I'm happy to have this cargo tray for protection. Suitcases slide in and out easily on the fabric side. The rubber side will be nice for carrying oil containers to recycle, etc. I'm very pleased with this product.